For centuries, if not thousands of years, the river was a very important transportation corridor for the Algonquian people. When the fur traders and explorers arrived in the 17th century, its use as for shipping was seen immediately. In fact, it got its name because from the Ojibwa, who associated the river with the French traders who continually rode its waters. Some of the most famous explorers in Canadian history went along this river including Samuel de Champlain, Simon Fraser, Alexander Mackenzie and David Thompson. 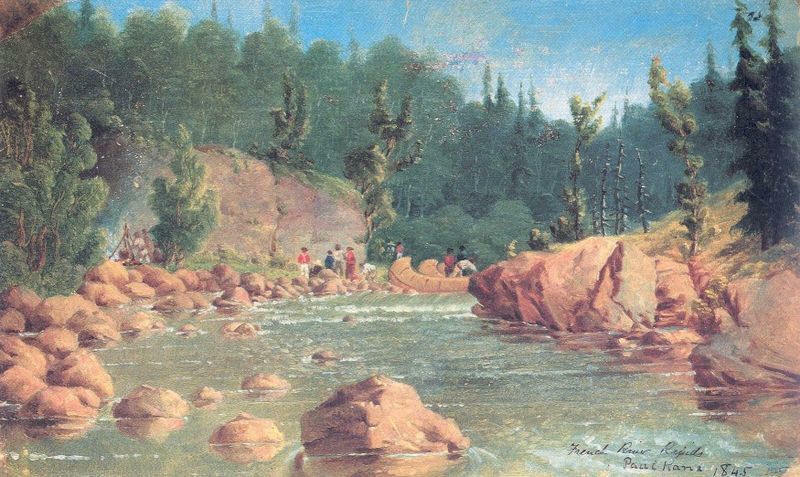 French River Rapids, field sketch by Paul Kane, 1845. 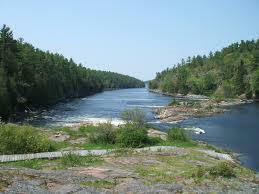 Coupled with the Ottawa and Mattawa Rivers, the French River forms the water highway that runs from Montreal to Lake Superior. This made it an extremely important fur trading rough until the mid-1800s. For this reason, the river became a Canadian Heritage River in 1986. Unlike many other rivers in high-population density areas, this river has remained largely untouched thanks to the efforts of countless of volunteers who keep the river safe from development so it can be enjoyed by many people from all over the world. The French River has something for everyone and should be on the list of places that a person chooses to visit whenever they are in the area.